104. 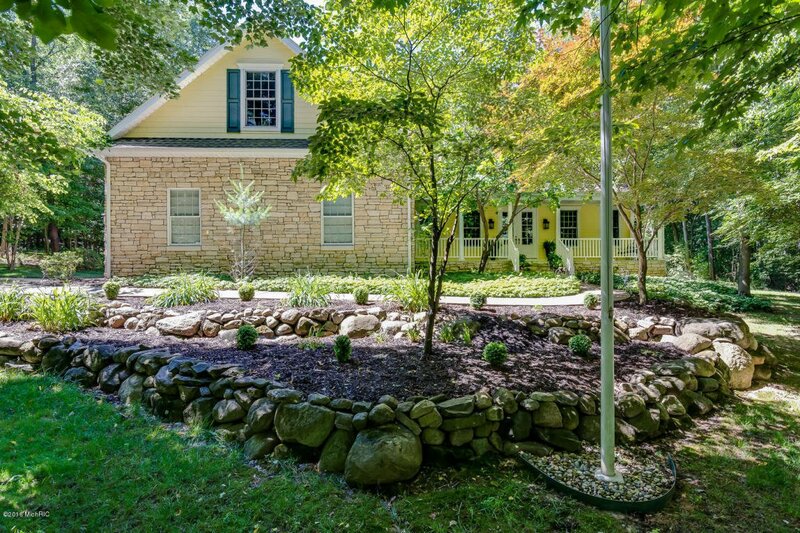 Truly magnificent home situated on a private 1.5 acre wooded lot in the Sanctuary. This gated community is just minutes from Notre Dame and South Bend. The home offers 4 large bedrooms , 4 full baths and 3 levels of living space. Features include formal dining room, hardwood floors, 2-story living room with stone fireplace, high ceilings, kitchen with granite counter and breakfast bar opens to the casual dining and family room. Master Suite with access to private deck, crown moldings and master bath with Jacuzzi tub, granite counter, double sink and walk-in closet. Two spacious bedrooms upstairs one with walk in closet bathroom access and access to bonus room. Amazing lower level with media room, full kitchen with granite counters, full bath, exercise room and storage room. Over-sized 2 car garage plus ample area for parking. The Sanctuary a 200 Acre Private Residential Community Immediately West Of the St. Joseph River in Michigan Just Across The Indiana State Line. Unique Lots Allow Homeowner's To Create a Private Retreat in the Heart Of Nature. More than 25 Acres of the Sanctuary Have Been Designated as a Nature Preserve. 20 Minutes From Major Shopping Areas. A Beautiful Drive along the River to The University of Notre Dame. Easy Access To Toll Road. A Perfect Escape. nature Trails Throughout The Community, Tennis Court, Gated Access.